Digital Mitford Annual June Workshop Set: June 2, 3, and 4. Mary Russell Mitford in Pieces! 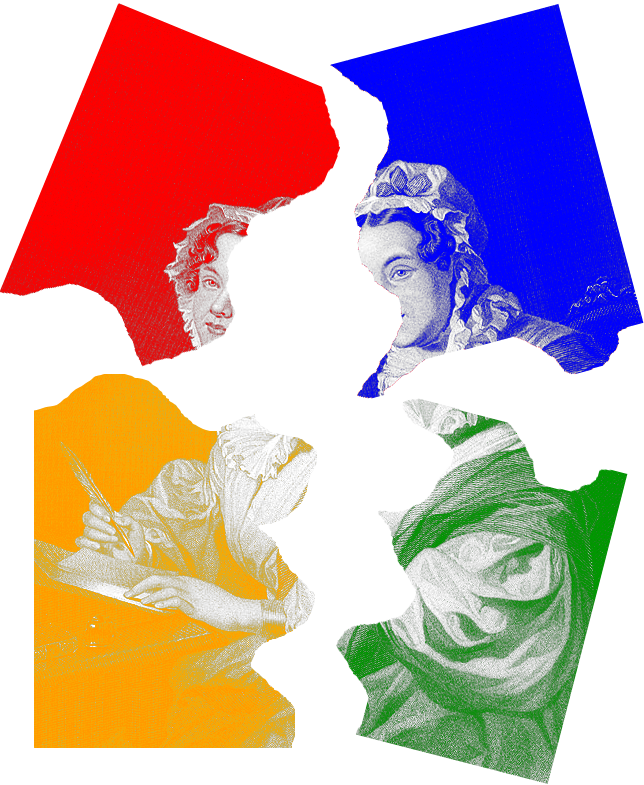 Posted on February 21, 2014 February 21, 2014 Categories Digital Humanities Projects, Digital MitfordTags Annual June Workshop, Digital Mitford Project1 Comment on Digital Mitford Annual June Workshop Set: June 2, 3, and 4. Confessing an Excess of Code. . .
Shall I confess it? I have too many projects to code! One project prompts another, and gets me involved in two more–and then I have a class to plan that involves teaching students to code–eek! Time moves too quickly and I’m engrossed in systems, sometimes most fretfully. But the reward is a sudden glimpse of something I couldn’t see so clearly before–and the adventure of an experiment. Changing research methods is a giddy thing when you’re a researcher! For my next conference presentations I am working intently on coding places and cultures in Robert Southey’s ornate long poem Thalaba the Destroyer (1801), to demonstrate the complex interweaving of cultures here in a more quantitative way than I could before. But I can’t seem to focus on Southey without being distracted by the Digital Mitford project–and happily so, as we’re fleshing out our Coding Guidelines, and as we’ve been compiling a working bibliography of Mitford’s published writings. Behind the scenes is Much Coding Work and much more to come: I’m writing some XSLT to extract and reshuffle our XML code, and I’m thinking more and more about Prosopography–our methods for compiling and collecting information on persons, places, events, and texts referenced in Mitford’s writings. Most interesting is how we’ll be indicating relationships between people and people, people and books, people and events, even people and fictional characters, or fictional characters to other fictional characters! The combinations are interesting to contemplate–and we could potentially generate many different networks to visualize! The usual advice is to anticipate as much as possible in the early planning phases of a big coding project–but we simply cannot predict every kind of relationship we’re going to find, and we need for a while to discover what these are going to be. Some are predictable: parent-child, marriage, friendship, but what about other kinds of relationships–when a character is modelled on an historic figure? We can identify who’s active and who’s passive, and when a relationship is mutual–not a problem here. It’s the characterization of relationships that I’m hoping will generate some interesting diversity as we code–and I don’t want to constrain that just yet. Ideally I’d be able to write a simple RelaxNG schema to control all the coding of each *kind* of text we’re editing for the Mitford project, but we really can’t do that without running into problems very quickly: A schema needs to be something we can make distinct to the specific conditions of a particular text, and I’m thinking I’d like to make a general schema for a play (for example), and then show my editors how to fine-tune it for their purposes. For now we’re running with the general TEI P5 ALL schema built into <oXygen/>, and a set of coding rules. There is much fine-tuning to do, and much of this, I think, we really do have to figure out AS we code. Speaking of which, it’s past time for me to be working on Thalaba! I’m not ready to post a visualization of this coding just yet–but watch this space. Thalaba is glorious to view in code structurally due to its elaborate interplay of lines and paratext notes, and paratexts-to-paratexts–and my goal here is to show something of its interweaving of physical and metaphysical places from distinct cultures. I’m eager to see what this looks like…so back to the tagging! Posted on July 5, 2013 July 5, 2013 Categories Digital Humanities Projects, Digital Humanities: Theory and Practice, Digital Mitford, UncategorizedTags coding projects, digital humanities, Mary Russell Mitford, network analysis, oXygen, relationship network, RelaxNG, Robert Southey, TEI XML, Thalaba the Destroyer, XSLTLeave a comment on Confessing an Excess of Code. . .